Ubuntu, powered by Canonical Partners, is the most optimized and updated Linux distro out there. Both Ubuntu and Linux Mint are based on the Debian system. This Linux distros provide solid system stability and lots of software through software center. But there are lots of applications you may not find in the distro’s repositories. So how do you install all those software? Here comes “Terminal”, which is used to install an application from outside of the software center. After installing Ubuntu, you may need some of your favorite software which will come handy to complete the task. So I am here to help you with a small list of best useful Ubuntu software which obviously not following any specific order. Java is widely used in the Ubuntu platform, which is used to run many applications. Run the following command to install java. You can install Dropbox cloud client from the Ubuntu repositories. So run the following command from the Terminal to install Dropbox in Ubuntu. After installation, open the Dropbox from the Gnome app drawer and follow the instruction to complete. Google drive is not indexed by Ubuntu repositories. So if you prefer to use google drive, there are many ways to follow. You can use Insynchq, one of the powerful google drive clients for Ubuntu platform. Telegram is highly secured messaging apps, which used to send any files, voice messaging, video call, and group messages. The telegram can be used on all the devices including Android, iPhone, Windows, and Linux platforms. It can synchronize all the message all through the devices. The telegram can be installed in all the Ubuntu-based Linux distro via PPA. To enjoy multimedia file on Linux, you can install VLC. This media player is the most commonly used media player on Windows, and the Linux operating system. VLC can play all sort of media files without any problem. To install VLC, run the following command into Terminal. Though Firefox is the default web browser at Ubuntu, which is enough for performing all the web related task. But google chrome the best web browser out there, which offer lots of add-ons to enhance productivity. So if you want to install google chrome, run the following command into Terminal. On the other hand, if you want to install chromium web browser, which is open source, and comes built-in at Ubuntu repository, follows the command from the Terminal. Now most of the Linux distros includes Gimp Image Editor by default. This tool is trendy and used by many professional photographers for image composition and editing. Skype is one of the best messaging apps, which is used to make voice and video calling, but it’s not included in Ubuntu repositories. To install latest Skype package in Ubuntu, run the command from Terminal. Here it’s important to notice the version number. So when installing Skype, version no must be checked and replaced with the above one. sudo sh -c "echo 'deb http://archive.canonical.com/ubuntu/ `lsb_release -cs` partner' >> /etc/apt/sources.list.d/skype.list""
Gnome Tweak tool is one of the useful Ubuntu software. By installing Gnome tweak tool, you can make a lot of customization on the Gnome desktop. 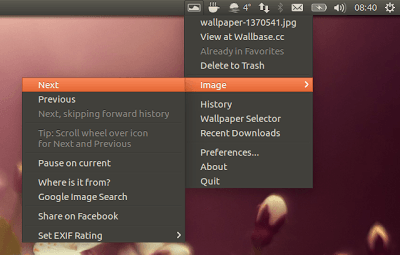 Run the following command to install Ubuntu Gnome tweak tool. “My Weather Indicator” is used at the Ubuntu panel to show the weather forecast for the day, and the widget can also be used on the desktop. My Weather Indicator can be installed by adding following PPA and command. This application is used to prevent the activation of the lock screen, screen saver or sleep mode. This tool is useful while enjoying movies or listening to music etc. This tool is convenient to use desktop wallpapers. Once the app is being configured, the app menu indicator can be used to change the wallpaper without opening the app. Gnome software center is ok to find or get the best Linux software, but if you don’t know the application name, then that’s the problem. Here old synaptic package manager can help to understand the package name and installing process. Install by the following command. If you want to install any .deb files, a gnome-software center can help. But that doesn’t give much information about the package dependencies. So to get more information about the installation package, GDebi GTK can be used. Run the following command from the terminal to install archive Packages in Ubuntu. If you are a web developer then FileZilla is a must application for you to have it on Ubuntu. Is this list of best useful Ubuntu software helpful? Did I miss any important application here? Let me know your favorite one from this list or any other that you liked most in the comment below. The reason I own a computer. Really liked you article and hope to see more article from you. i got so many useful articles here. Thanks for sharing. Thanks, Dear. It’s my mistake. Corrected with your suggestion. Nice list. I found some programs that I need to play with from this list. One note. Google is only supporting Chrome for 64 Bit environments. I had to install Chromium on my 32 bit machines. My Laptop is the only 64 bit machine I have and I was able to install Chrome itself there. Just a heads up. Thanks for the useful comment. Glad, you like it. Very poor grammar. Try proof reading before submitting work that'she a compilation of others work. First of all, yes it's very poor grammar and i will be trying my best to correct all the contents before posting. As i am very new in blogging, so mistakes will be there. Next time I will be very careful. It's also basically a compilation of many tips and tricks, collected from online but not copy paste rather fully written by me. Thanks for your comment. Definitely it will help me to correct myself and inspire me for more quality content. You don't like what you see, turn off your station.. Thanks for the comment. What's make you think that skype is a malware? Ok,you may not like but still many people are using this software for their communication. And still skype is one of the best communication software in Windows OS. it's not easy to install Skype in Linux for the newbie. That's why i have included this piece of software into my Essential Software list to install in Ubuntu.